Topic: Problem! what to do ? 00 Gauge or N Gauge ? Re: Problem! what to do ? 00 Gauge or N Gauge ? If the space you have is that small, I would definitley go with N gauge. To be honest, the only thing you may struggle with vision wise is the small scenic details, people, cows etc! 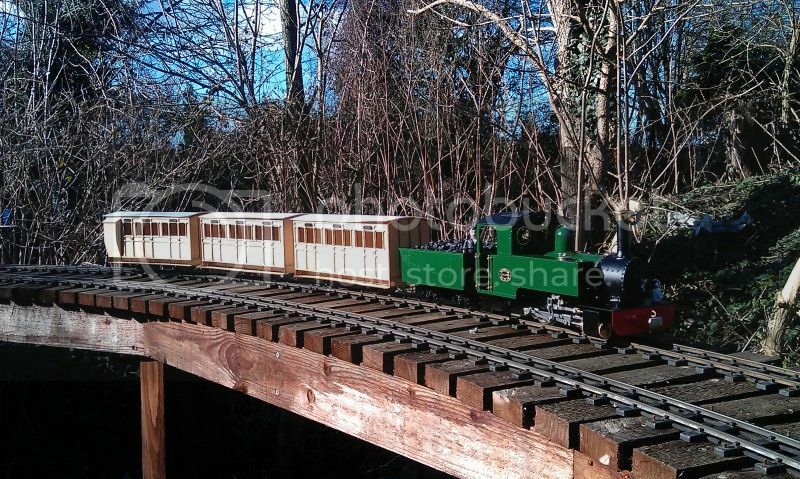 There is plenty of choice in N gauge now aswell, just check out the likes of Hattons website! Chris, I like the Brit! You should try the same photo as if the draincocks have been opened, with the steam coming out the front, that could look good! Looks good though! How long is it? Tornado would have been a good option due to the recent (well, fairly recent) press coverage, people know what it is, and shows us Brits haven't totally lost all old engineering skills! Now that is shifting! Wow! Back on topic, I hope they have Scotsman running properly soon, it has been dragging on a long time now, then again, better to have it in the workshop now than possibly failing later! Runs like an absolute dream, full R/C (regulator & direction control) butane fired. If it is Peco flexi track (streamline), did you file the burr off the bottom of the rail after you cut it? Quite often stops the joiners sliding on in my case! Topic: 4492 not in steam anymore ? Re: 4492 not in steam anymore ? Nice video Chris, nothing better than an A4 chime! Topic: N gauge 2012 wish list. Re: N gauge 2012 wish list. I must admit, a DCC ready class 170 with all the bells and whistles would be nice! A 185 would be a definite purchase from me aswell! Re: Old Warren TMD - Future is now uncertain. Hi Chris, I can only really echo others comments, I hope your Wife finds another job soon, it is quite tough out there! By the way the lights in the depot look brilliant, very jealous! Are the axles properly located into the holes on the bogie sides? My Mk4's axles sometimes come out of there place causing derailments! Topic: What scale is this train? Re: What scale is this train? Can't wait to see it finished, and some nice fast modern trains would look stunning on it! And I can recommend Broms Mods!